While Taos is known for its scenic skiing adventures, those of you looking to get in touch with your inner yogi will love a unique event offered by Heritage Inspirations. 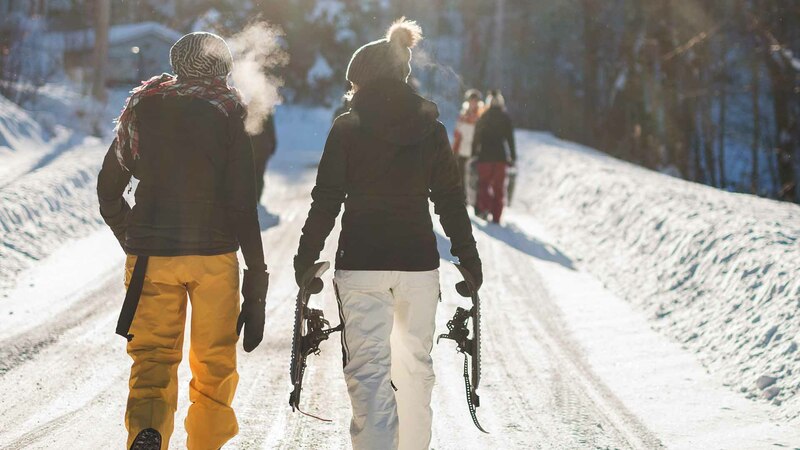 Snowshoe & Hot Yoga is a full-day tour, available Thursday through Sunday, that indulges both your spiritual and athletic sides. Kick off your day with a snowshoeing adventure through the Amole Canyon — an 8,150-foot elevation — for two hours of snowy bliss. Then, after a gourmet lunch and warming beverage, relax at Hot Yoga Taos Studio for a muscle-soothing hot yoga session. The tour includes all necessary gear; learn more at heritageinspirations.com. Whether it’s for the unmatched views, mind-calming yoga or simply an unexpected day date (Valentine’s Day weekend, maybe? ), why not try something new during your next visit to El Pueblo Lodge?